“In a Mexican restaurant, of all places!” another protester added. Nielsen was eating her meal at MXDC, a popular Mexican restaurant in Washington DC. 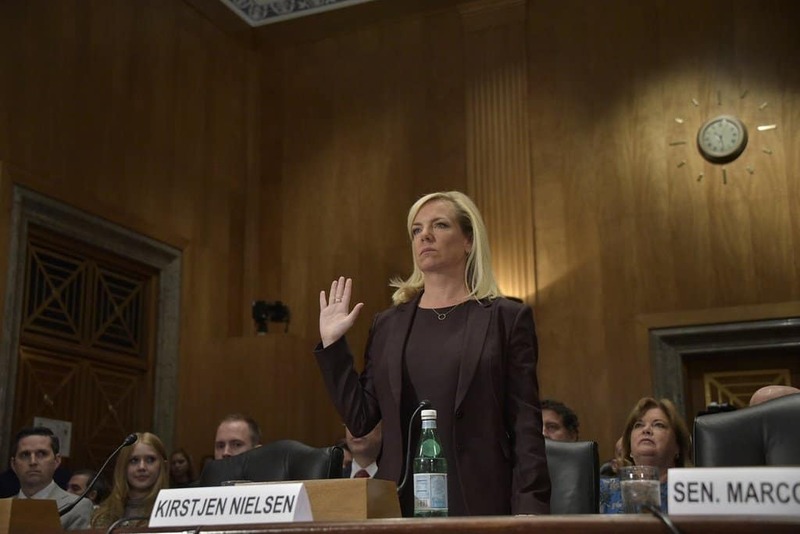 Nielsen was protected by several agents who stood guard and ignored the crowd. Adding insult to injury, the protestors played a recording of children crying after they were ripped away from their parents. Nielsen quickly exited the restaurant and entered a vehicle before speeding away. With more than 2,000 children now separated from their parents and a major Trump donor profiting to the tune of hundreds of millions of dollars, the debate over Trump’s zero-tolerance policies is heating up. Here’s the video from the protest.